Your voreclaw uses its head, stunning the target for <<1[%d seconds/%d second/%d seconds]>>. Pierce every enemy within a 10-meter cone dealing <<1>> elemental damage to up to 8 targets. The rancor smashes into an enemy, dealing <<1>> kintetic damage to up to 5 targets within 4 meters of the enemy target. 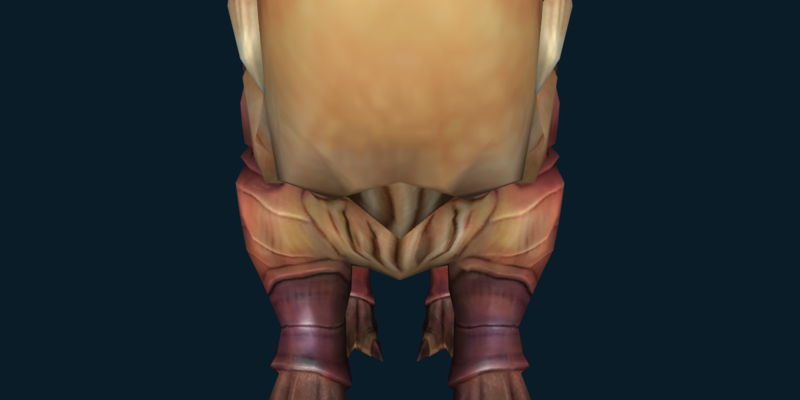 Your rancor leaps at a target with less than 30% health and sinks in, dealing <<1>> internal damage. Your voreclaw lunges at the target and smashes into the ground, dealing <<1>> kinetic damage and causing the target to become immobilized. Your voreclaw bellows a restorative roar, healing the target for <<1>>. The voreclaw fills the target with dark energy, healing the target for <<1>> and cleansing it of mental and physical effects for 9 seconds. Your voreclaw unleashes a mighty roar that dazes the target for up to 10 seconds. Damage to the target causes this effect to end prematurely. Targets may only be affected by Deafening Roar once every 30 seconds. Target must not be suffering from periodic damage and have greater than 90% max health. Your voreclaw bellows a furious roar toward the target, instilling them with battle fury that prevents a moderate amount of damage for up to 20 seconds. A surge of restorative power from the voreclaw heals a friendly target for <<1>> over the duration of the channel. Your voreclaw lunges at the target and delivers a powerful headswipe, dealing <<1>> kinetic damage, healing for 25% of damage dealt and generating a moderate amount of threat. Your voreclaw taunts attacking enemies, forcing them to attack your creature and generating a moderate amount of threat. Your voreclaw's cuffs overcharge, unleashing an electric discharge dealing <<1>> internal damage to up to 5 enemies 5 meters around the impact. Generates a moderate amount of threat and reduces incoming damage by 50% for 10 seconds. Does not hit sleeping, lifted, or incapacitated enemies. Taunts the target, forcing it to attack your voreclaw for 6 seconds. Also reinforces your creature by placing an absorb shield that absorbs a moderate amount of damage. Fires a multi-grapple line from your voreclaw's collar that fires in a wide cone in front of the creature and pulls the closest three targets and generates a high amount of threat. Only affects targets that are in combat and are not in cover or have Boss Immunity.